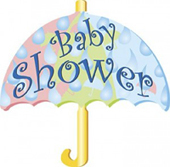 We have the perfect place for your Baby Shower and we have years of experience in designing and creating the perfect atmosphere. The lighter side – This feature begins with a cup of homemade soup. Our most popular soups are Chicken Dumpling, Wedding, Tomato Florentine, Clam Chowder, Vegetable with Beef and Stuffed Sweet Pepper Soup. Next we would serve our Inn Saladâ, which is a mixed green tossed salad with fresh vegetables, walnuts, seasoned croutons, hard cooked eggs and sunflower seeds. Also included are our homemade rolls and sweet breads and choice of coffee, tea, soft drinks or iced tea. Ladies choice – Generous scoops of our homemade chicken and tuna salad nestled on a bed of spring mix, and served with a bakery fresh croissant. Fresh fruit salad and choice of soup completes this lunch favorite. Included with your lunch is choice of coffee, tea, soft drinks or iced tea. Mixed grill – We at the Grand Valley Inn are proud to serve our grilled chicken or house prime sirloin salads. We start with a gourmet salad base of mixed greens, then garnish with fresh seasonal vegetables such as grape tomatoes, Bermuda onion, cucumbers and olives. We add hard cooked eggs and top with your choice of steak or chicken. House tossed salad will be served before each of the following entrees. Chicken scampilini – Pan sauteed chicken with ripe olives, button mushrooms, sweet red onions, a touch of chopped spinach and a bold garlic and white wine sauce tossed with fresh penne pasta. Grand fillet lunch – A pair of petite fillets seasoned and char-grilled to your guests’ desire. Served with rosemary marinated button mushrooms and aujus, rice pilaf and steamed vegetables. Mrs. B’s crab cake lunch – A real crabmeat cake, sauteed golden brown with bearnaise sauce. Served with rice pilaf and fresh steamed vegetables. Lemon kissed pork – Lean center cut pork medallions lightly breaded and pan sauteed golden brown, splashed with fresh lemon juice and dusted with aged parmesan cheese. Served with rice pilaf and steamed vegetables. Also included are our homemade rolls and sweet breads and choice of coffee, tea or iced tea.